Willow artist and basket maker of traditional and contemporary baskets and willow sculpture. 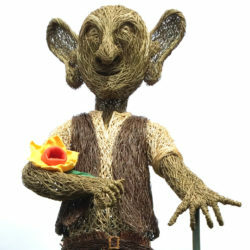 Providing fun and creative willow weaving workshops; basket making, sculpture, living willow and more at Out to Learn Willow. Making fun and exciting willow sculptures in both living and dried willow at melbastier.co.uk. Partner in making beautiful willow coffins at Lily Willow Coffins. Commissions very welcome.